Steve Shannon heads Roku’s content and services group, which is responsible for establishing new content relationships, acquiring entertainment, on-platform advertising and growing services on the Roku platform. Steve has led many successful companies that have shaped the digital living room. Prior to Roku, Steve held senior executive roles at digital media companies, RealD and Gemstar-TV Guide. Steve also has deep experience growing digital media start-ups from the ground up. He co-founded iband and sold it to Macromedia after developing what is now Adobe’s Dreamweaver product line. Steve also co-founded Akimbo Systems, the first Internet video-on-demand service for television. Prior to Akimbo, Steve launched ReplayTV, the first digital video recorder and drove product, marketing, and sales strategies. Steve holds a bachelor's degree from University of California at Los Angeles and an MBA from University of California at Berkeley. New processors and consumer devices are making big bets on HEVC, even as AVC remains ubiquitous. Despite some risk, HEVC can add significant value in certain use cases. In this presentation we present the forecast for HEVC uptake from an objective and reliable perspective. We also provide an update to our long-trusted recommendations on choice of codecs and architectures for popular applications in the context of ongoing trends such as 4K, virtual reality, and virtualization. Google has invested heavily in open compression formats, with the WebM project for video, WebP images, and Opus audio. From first time internet users in emerging markets to new VR experiences on mobile devices, video is pushing the limits of existing network bandwidth. Upgrading infrastructure is a slow, expensive process, so new compression algorithms are necessary for handling the growing load. Additionally next generation media experiences, including VR, require new techniques in audio compression, such as ambisonics, to create truly immersive experiences. This session will cover how open source, royalty-free codec development is providing an alternative to traditional patent pools and standards bodies to increase the speed of development and power the future of video and audio streaming. The video viewing landscape is broader than ever, and is constantly shifting under the feet of content developers and providers. This session will discuss major trends in video viewing, including pay TV subscribership, OTT services, TV Everywhere, multitasking, content discovery and device viewing. Learn about new topic areas, like measuring the impact of "skinny bundles" and "virtual MVPDs," that have the potential to shake-up the TV industry. In the session, experts in video content and distribution will discuss detailed data from Altman Vilandrie & Company's latest survey of U.S. consumer video viewing habits and debate the current state of video – and where it's going in the future. 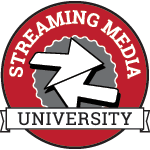 Streaming company-wide meetings, training, and other events through your internal network saves on time, travel costs and resources. This session looks at real-world architectures being used for distributing streams to all screens within an enterprise setting. You’ll learn about how peer-to-peer and multicast technologies fit in, and how to reach remote and mobile workers. Our panelists will recommend ways to increase quality and broadest audience reach, and share best practices and lessons learned. Google has announced that Chrome will be “HTML5 By Default” as of Q4 this calendar year, meaning that users will need to click to allow Flash content to be played. This is obviously a major concern for the streaming industry, as Flash remains the dominant player technology today. There are native HTML5 solutions available for streaming video, but so far, the adoption has been low. This session reviews the state of the video player industry and compares a few open source and off-the-shelf solutions that can help keep those videos streaming. This presentation will discuss best practices for implementing a live and synchronized OTT service that enables live OTT streams to be synced to different mobile devices as well as synced and harmonized with regular linear broadcast TV. Learn how a synced live OTT service can open up new business models for content owners and right's holders, and how this complements a rights holders’ existing business. See examples of how a synchronized live OTT service can be used to greatly enhance viewer experiences, either as a stand-alone service or in combination with regular broadcast television. Video content has seen significant improvement by the introduction of UHD video, high frame rate and high dynamic range. This presentation will showcase the improvements these features add to the video watching experience. It will also cover the video encoding techniques (encoding standards, bitrates and encoding parameters) used today to deliver high bitrate demanding video to the end consumer and challengers this process faces. Finally it will go through some recommendations for the encoding stage for both VOD and live streaming applications. All full-conference attendees and speakers are invited to enjoy "Lunch on Lawn". After a full morning of sessions head on outside to the beautiful Lighthouse Courtyard for some California sunshine and networking with fellow attendees. Video owners need to reach a myriad of constantly-evolving devices in a fractured ecosystem of formats. While standards like HLS, MPEG-DASH and common encryption make it easier to deliver content, delivering premium content and a premium viewing experience to multiple devices can be a real challenge. In order to do so successfully, content owners need to be able to support multiple formats. In this panel, you'll learn how leading media companies are solving this problem and the advantages they experience when adopting the best format for their particular platform. As the content ecosystem prepares for HDR, 4K/UHD, and even 8K at scale in an on-demand, any device world, the risk of high-quality pirated content rises in tandem, putting the evolving business models and infrastructure investments at immediate risk. Forensic watermarking is positioned as a requirement in Movielabs' Enhanced Content Protection Guidelines to mitigate the ravaging effects of un-monetized distribution. However, getting the technology widely deployed is challenging due to misaligned priorities among the many players in the value chain who must implement or enable the technology and related services and policies. On this panel, we bring together key experts from leading companies in the forensic watermarking ecosystem to discuss the technical, business and practical challenges of implementing such a system at scale. The Humane Society of the United States is the nation’s largest and most effective animal protection organization. They have gained significant insights into live streaming by going live via Facebook, Periscope, and Youtube around the world. Their live events have reached millions, exposing their brand to new members, allowing them to engage, converse, and convince these community members to take actions and support their cause. Each livestream event has taught them valuable lessons about what to do and what not to do, and they will share these lessons in this case study presentation. The video compression industry often encounters claims that some new encoding technology is X% better than previous state-of-the-art encoders, where “X” is some large number. In reality, arriving at a percentage gain is a complex process, depending on the reference (“baseline”) encoding, the encoding settings, the encoding bitrates, the video content being encoded, the method of comparison, and the comparison metrics. This presentation explains how to perform subjective evaluation of encoding technologies using a practical subjective test methodology that is credible and leads to meaningful results. The talk presents several examples of encoded bitstreams to be scored subjectively, shows how to score those bitstreams based on the artifacts present, and illustrates how to collect subjective scores and derive meaningful gain metrics from them. Providing a good experience is key when providing millions of live video streams to tens of millions of viewers. This session dives into the technology needed to deliver an industry-leading live streaming experience on Periscope. Learn how Periscope, Twitter’s live broadcasting platform and the first to popularize live streaming, recently partnered with OpenTelly to improve its viewer experience through a series of technology migrations. Attendees will hear how Periscope improved the experience delivered to its viewers by migrating to HTML5 and low latency HLS. As the OTT market continues to experience dramatic growth, it’s also become incredibly crowded and competitive. Content owners are under more pressure than ever to get to market quickly and having the right business model is crucial. This session will discuss the different strategies for going OTT; a templated, turnkey service that enables faster time-to-market or a more customized, highly differentiated offering and the pros and cons of each. Speakers will deliberate on how to best address the growing challenge of device fragmentation in an increasingly complex OTT ecosystem and how content owners are successfully monetizing content via advertising or subscription models. Streaming continues its rapid evolution, moving away from proprietary core technologies and towards open standards. Which leading-edge technologies (H.265, VP9, AOMedia Video, WebM, DASH, fMP4 HLS, CMAF, HTML5 & WebRTC) should you be adopting to future-proof your streaming deployments so you reach your targeted devices and deliver a great user experience? We’ll look at the royalty-laden HEVC vs. royalty-free VP9 vs. the new open-source AOMedia Video for streaming with MPEG-DASH. Which will win out in the end? How will Apple’s adoption of fragmented MP4 for HLS impact DASH adoption? Will the death of browser plug-ins finally herald the age of HTML5 video streaming, and how does WebRTC fit in? Our panel will dive into these and other questions, helping you decipher which technologies are here to stay, and which should be forgotten. This presentation covers how broadcasters can improve quality of service by making small changes to their ABR algorithms and analyzing via an effective AB testing workflow. We begin by offering practical feedback on how Dailymotion was able to improve QoS significantly via small player-side ABR iterations, explaining what metrics were used and the results obtained. In the second part of the talk, we delve into how to build an effective AB testing analytics stack, honing in on the tools needed and the appropriate environment to be able effectively analyze our actions and make changes in real time. The way that people watch television is changing. As the broadcast industry gradually transitions to IP and consumers adopt more online video, it’s clear that a transformation is underway. But what will TV look like in 5 years? This session explores the future of television and how the gradual, generational shift from linear broadcast to online will fundamentally change not only consumption but the underlying business models as well. Attendees learn about the long-term vision for the television experience and how they can prepare (and plan) to take advantage of the evolution in video consumption that is happening today. This presentation will focus on best practices around reliable live streaming of critical, high importance global events with multiple redundant signal pathways. Learn how to overcome challenging on-site environments like flakey internet, failing encoders, faulty cables and failing CDNs. Learn some best practice tips covering the gamut of on-site challenges (cameras, switchers, signal paths, ingest/uplink) to reliable end-user playback (transcoding/transmuxing, reliable playback engines, CDN selection). Find out how you can implement backups and redundancy at every possible level of your live workflow. The presenters will also cover best practices (and caveats) around successful leveraging Facebook Live - Facebook's native new entry into the live streaming category that is gaining enormous traction and engagement right now. Learn from our experiences (and the odd failure) to make sure your next event is a resounding success. Building a great Roku channel has never been easier. In this session, Roku will unveil new methods to quickly publish on the Roku platform and monetize with video advertising. The presenter will discuss these new tools and some of the ways that developers and content creators can build their audiences on the Roku platform. Tastemade is a video network built for the mobile generation that enables people to come together to discover and share their passion for great food and travel. In this case study presentation, Tastemade will outline how they went from using YouTube as their primary distribution source to building their own global video platform and applications, which connect with over 100M monthly users around the globe. 4:30 p.m. - 5:00 a.m. In 2016, The New York Times created a new team to build a faster, cloud-based and reliable video publishing pipeline. This presentation will walk through the set of microservices being developed by the NY Times Media Factory team to create an elastic and reliable solution that can be used across the globe. Learn about content acquisition; transcoding; distribution; APIs and how the NY Times is support a set of new requirements such as adaptive streaming and VR/360° videos. Join us for a fun night on the lawn as you network with industry peers while enjoying a selection of good brews and eats. Open to all attendees, speakers, and vendors.